Ravi Shanker (aka Ra Sh) is a poet and translator. He lives in Palakkad, Kerala. His poetry volume in English Architecture of Flesh was published in 2015. In 2014, he was part of A Strange Place Other Than Earlobes, an anthology of poems in English by five Kerala poets who met on Facebook. Ravi translates from Malayalam and Tamil into English as well as from English into Malayalam (Dario Fo, Paulo Freire and Badal Sircar). His English translations include Harum Scarum Saar and Other Stories by Bama (from Tamil) and Mother Forest: The Unfinished Story of C.K. Janu by C.K. Janu (from Malayalam). 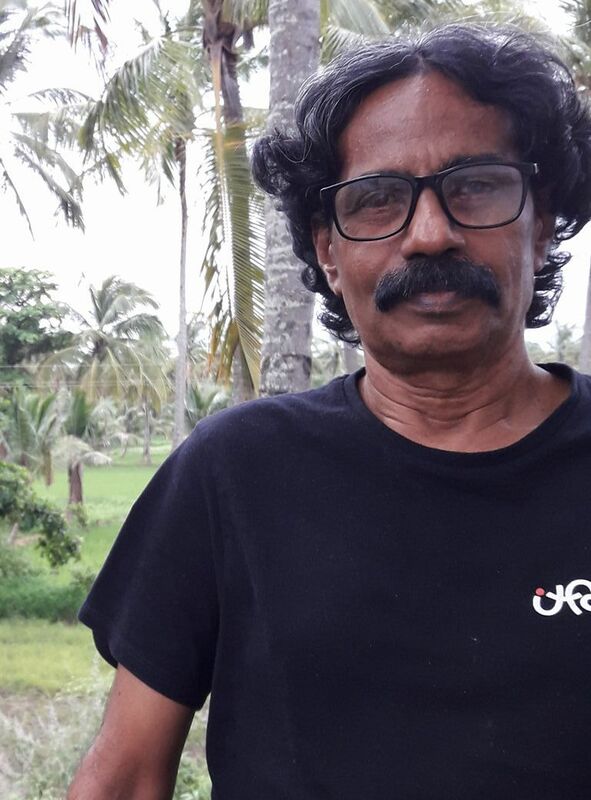 He is the co-translator of Waking is Another Dream: Poems on the Genocide in Eelam (Navayana, 2011), and of Don’t Want Caste: Malayalam Stories by Dalit Writers edited by M.R. Renukumar. He has also written English subtitles for several feature films in Malayalam and Tamil.